Bernard Geoghegan is a veteran of the IT industry with over 30 years’ experience in the sector and has served in a number of senior roles in the Data Centre industry. Mr. Geoghegan recently served as Interim Managing Director for Interxion Deutschland GmbH. Prior to this Mr. Geoghegan served as Managing Director and SVP EMEA for Digital Realty and was responsible for managing the Company’s operations and corporate activities in EMEA. Prior to this, Mr. Geoghegan served as executive vice president of Colt Data Centre Services, a modular data center provider. Previously with Digital Realty, Mr. Geoghegan served as Senior Vice President of International Operations after joining the Company as Vice President, Europe. Prior to joining Digital Realty, Mr. Geoghegan was the chief executive officer of Servecentric Ltd., a provider of co-location and premium managed services to the Irish market. The co-location division of Servecentric was acquired by Digital Realty. 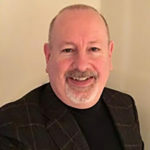 Previously, Mr. Geoghegan has held senior operations and IT roles at Worldport and Xerox Europe and various IT management and software development roles with Pioneer Investments, Informix Software Inc., Digital Equipment Corporation and Ashton-Tate.